When Is The Right Time To Copyright Your Songs? The decision on when a songwriter should officially copyright his or her songs seems to be a fairly simple one, but there are actually several viable options that could complicate a songwriter’s decision. Many young or new writers are under the misconception that they must immediately file their song(s) with the Register Of Copyrights in Washington, D.C., or else it will not be protected by U.S. copyright law. But under the present copyright law (which became effective in January, 1978) a song (or “work,” as described in the information pamphlet issued by the Register Of Copyrights) is automatically protected by copyright when it is created. 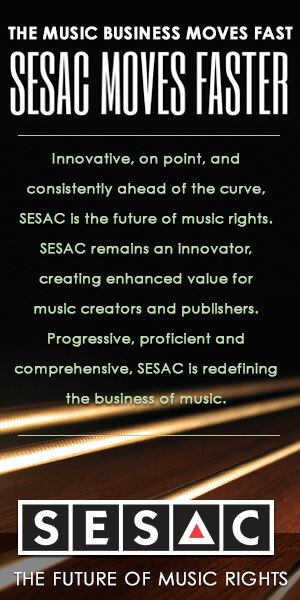 So if a writer’s song is “automatically protected” by copyright law, is it truly necessary for a writer to immediately file the song with the Copyright Office, which entails filling out the application form (knows as Form PA), plus submitting a CD, tape or sheet music of the song, plus paying a $65.00 fee for each filing ($35.00 if you file digitally)? There isn’t a simple answer. I know many professional writers (and their publishers) who only bother to copyright their song once it is actually released on a major label album. In contrast, I also know of many aspiring writers who almost obsessively send in their PA Forms and $65.00 every time they write a song. I recently met a writer from Philadelphia, who was in Los Angeles because he had a meeting with a manager who might represent him. He was fearful that this manager might actually rip off his music, and he desperately wanted to send his new song to the Copyright Office before the meeting, to protect himself. It amazed me that this writer would be so worried about one meeting in L.A. with a legitimate manager. While crazy things do sometimes happen in the music business, the odds that this manager would be out to rip off this writer are absolutely, incredibly remote. Legitimate industry managers or execs are fully occupied with just trying to find new talent, and are certainly not looking to plagiarize anyone. Still, many writers would ultimately prefer to be very cautious, and dutifully file their copyrights. And truthfully, it is hard to argue with this point. Arlo Chan, Director of Contract Administration, Legal & Business Affairs at Warner/Chappell Music, also prefers being cautious, telling me he “could not in good conscience recommend that a writer not file the PA Form, because you never know for sure what will happen.” In addition, Chan said that unless the writer and/or publisher have previously filed the copyright, they cannot initiate a plagiarism suit against another party on the specific song in question. Nevertheless, copyright every song can become an expensive proposition for a songwriter. At $30 per PA form, a writer can easily spend hundreds, perhaps thousands of dollars on copyright fees. And frankly, there are many aspiring writers who have spent a lot of money on fees, yet have never earned any significant royalties from their songs. Fortunately, there is a way to save money on fees. A writer can copyright several new songs under one PA Form and pay just one fee, if these songs are listed as a “collective work” on the form. However, the songs must be all written by the same writer or writing team. If a writer collaborates with different partners, these songs need to be filed on separate PA Forms, at an extra $45 per form. For more information on registering your copyrights, and on how you can obtain PA and other forms, you can call the Copyright Public Information Office at 202-707-3000. The application forms and pamphlets are free.